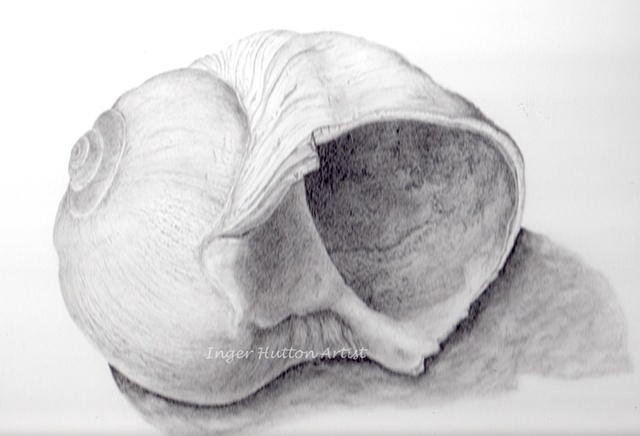 Graphite drawing of moon shell with all the ridges and growth rings on the outside and the shading on the interior also showing detail. Original has been sold. Copies available.